In Glory in the Flower, distinguished but disillusioned British poet, Bill, crosses the world on the promise of a prestigious literary festival only to find himself roughing it with an unlikely group of amateur poets, with surprising results. One man's attempt to negotiate the Australian taxation system reads like a noir thriller in The Pirate Map, and the minefield of internet dating in Chance artfully balances the absurd and dark side of the human psyche. Harder Than Your Husband follows a serious-minded administrator as he attempts to navigate the induction of a new, and rather perplexing, employee. 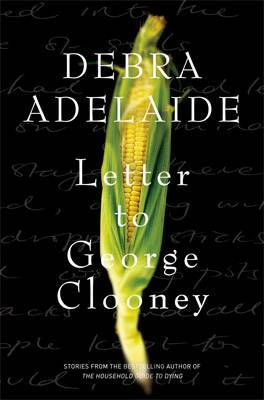 And the final eclipsing story, Letter to George Clooney, opens a door into a world of terror and deprivation: searing in its devastating restraint, it demonstrates why Adelaide is one of the finest Australian writers of her generation.